I have been making my own arrows from scratch for a couple decades (since 1987 to be precise) and thought I’d showcase some I have made over the past few years. 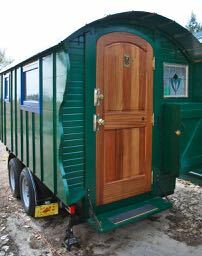 I don’t generally make them to sell and I rarely hunt these days but there is something very satisfying and meditative in gathering the materials and constructing something so practical, with such fine tuning and narrow parameters in functionality. I learned many tough lessons along the way, having no actual teacher, but I gleaned all I could from the historical resources I could find. Most cultures of the world have a martial tradition of archery and each have their advantages and limitations. A set of seven hand-turned poplar arrows in the English tradition. The poplar arrows above were made from aged, straight-grained wood that was split along the grain then turned in a dowel cutter. The nocks are reinforced with Bois d’arc (Osage orange) wood for added strength. The heads are conical bodkins, fletchings are prime turkey wing secured with glue and silk binding. A “primitive” set of cane arrows with hardwood foreshafts tipped with a variety of point types. I sometimes come across beginning arrow-makers (fletchers) who only produce “one-offs” without attempting a matched set. This is fine as an experiment or as a learning tool but does not suffice for someone who plans to actually use them for precise or regular use. The minimum I make is three but I try to produce arrows in sets of six or twelve. Since the plank used for the the arrows above worked out to produce exactly seven shafts, I kept the group together. I believe it was a writing by Arthur Young where I first learned that to have a truly great set that sometimes you had to sacrifice a few as imperfect. With all the work that goes into an arrow, it is painful to cull one out but sometimes it must be done. The weights may match, the spine may feel the same, but one may just not fly as perfectly from the bow as the rest. In the past, I have marked these and they become stump shooters of ones that you don’t mind risking on a long or difficult shot. Finding a perfect set of rivercane shafts can involve a lot of looking, sorting, and luck. People who want to purchase these hand-crafted materials and products rarely appreciate how much work goes into just gathering the materials. A dozen matched cane shafts may come from sorting a hundred plants, then aging, curing, and straightening before the arrow can even be started. 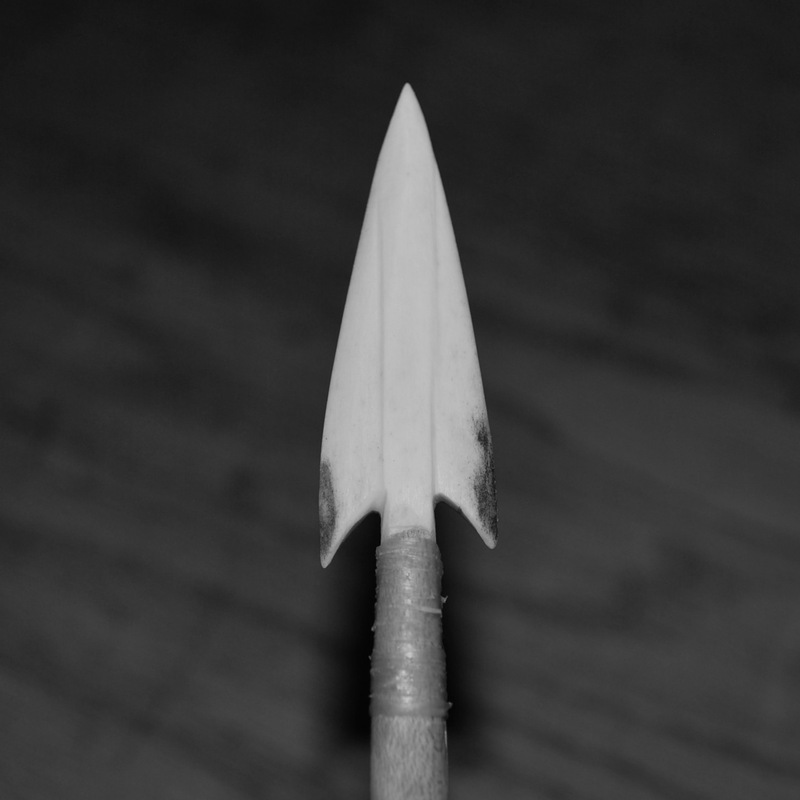 Rivercane (Arundinaria) arrows with reinforced self nocks. 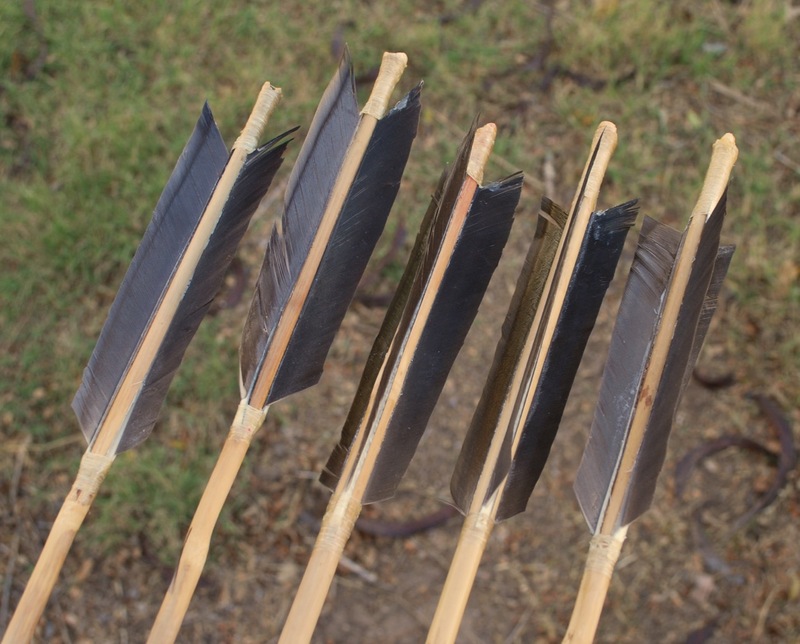 To produce enough fletchings for the above, one has to acquire three feathers per arrow, matched by side (all rights or lefts) and placement on the wing of the bird (e.g., second or third wing feather). This could mean wings from seven to fifteen animals depending on how picky one is just to produce five sets of fletchings. Finally, the points are considered based on the needs of the archer. Will these be for hunting large or small game, target shooting, or just all around fun shooting? I use bone, antler, stone, wood, and steel depending on the intended use of the set. Although I purchase most of the metal points I use, a lot of time can go into making matched heads from natural materials. And all that fiddling around, that’s why we have darts! 😉 Yep, a PILE of work goes into a set, even when buying shafts etc. Just because you need that many to do the job. Just sayin’…..
Not this time. Jose is teaching a arrow class as is Jim Langell. Paul Rodgers, James Murphy, and Jim Langell are all teaching bow making this year. Maybe contact them. See you next week. Thanks for a great article! Good insights that I’d not seen expressed before. I’m strictly a “wannabe” arrow fabricator at this point but hope to get into crafting my own bows and arrows. I also really appreciate the link off to the article at Stickbow about Art Young. I had never heard of him or his exploits before.